This link is my QEX article in PDF format, with permission from the ARRL. The link below was my presentation at the Contest Forum at the 2008 Dayton Hamvention. I will be adding material to these slides as I translate my frequent hand-waving into additional text. The next link was my initial announcement to the DttSP and Softrock Groups on Yahoo. The following links are my soapbox comments from a sequence of 160 meter contests during the 2007-2008 season. These comments represent a sort of development log for my phased array. The next link is the paper I presented at the 2003 Digital Communications Conference in Hartford, Connecticut. 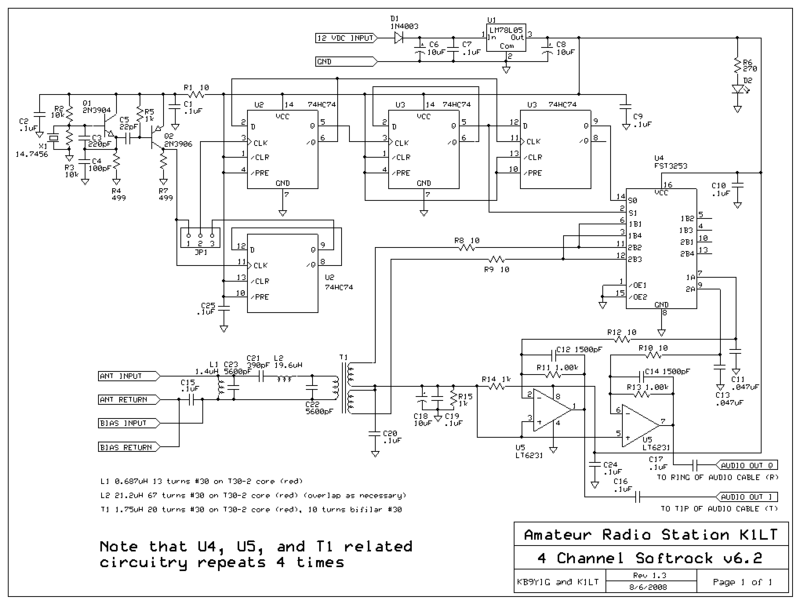 I used an AD6644 evaluation board and a PC to implement an AM radio. This project was how I taught myself Digital Signal Processing. I've designed a circuit board for 4 Softrock v6.2 receivers in parallel to facilitate phased antenna studies. 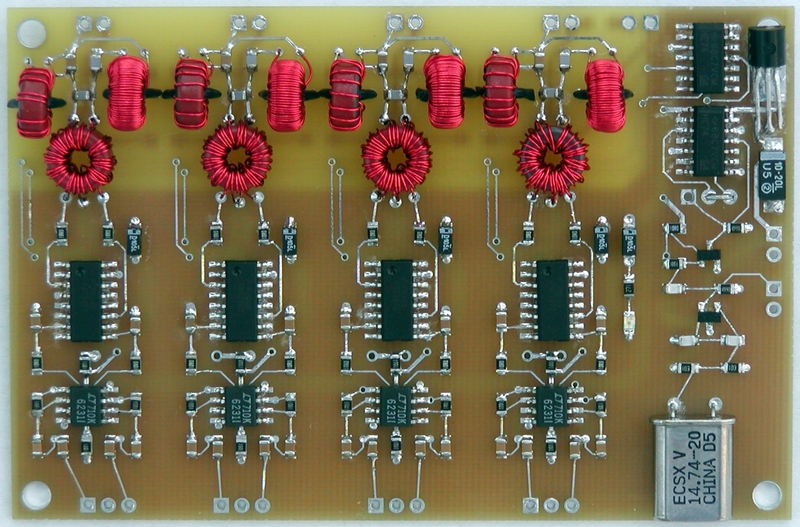 The board eliminates the redundant oscillators and divider chains one would have using 4 original Softrock boards.